Anuga FoodTec is the only trade fair in the world which covers the entire spectrum of food production - from processing to packaging, covering all food industries. This year they welcomed over 50,000 visitors. 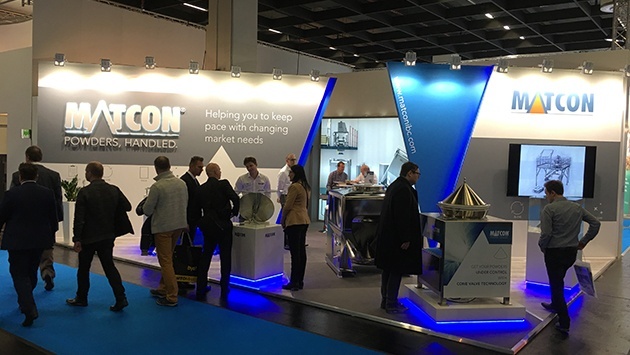 We were delighted to have the opportunity to discuss and review the manufacturing needs of both existing and new customers who visited our stand. On display was our working Discharge Station exhibit, a 1000L Stainless Steel IBC, a Cone Valve & our Intensifier Lid for high shear blending. We would like to say a big ‘Thank you’ to all who visited our stand & we look forward to seeing you again at future events.